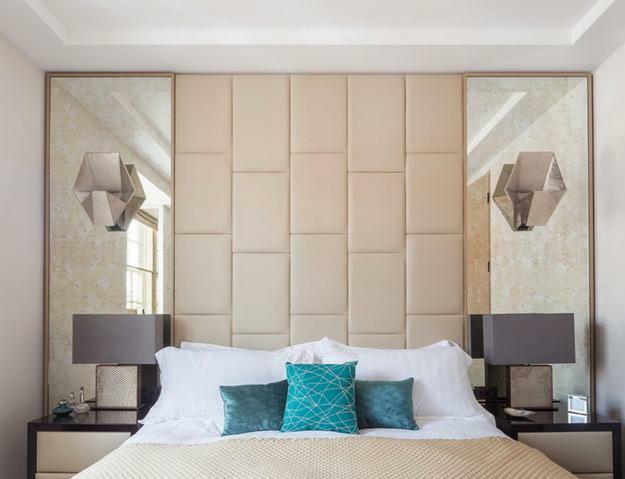 Modern mirrors are an incredibly powerful decor accessories that increase small spaces visually, bring chic into vast interiors and indulge in the luxury of bright and modern bedroom designs. 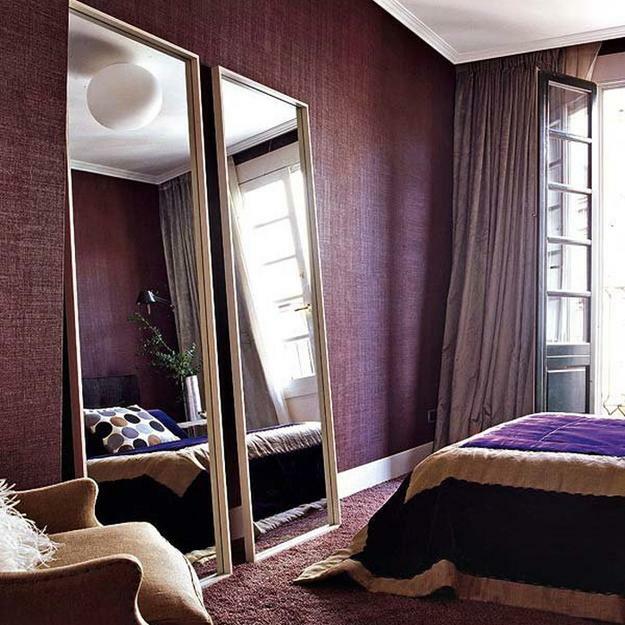 A strategic placing of a huge wall mirror or creating a mirrored wall transform rooms dramatically and add character to bedroom decor. 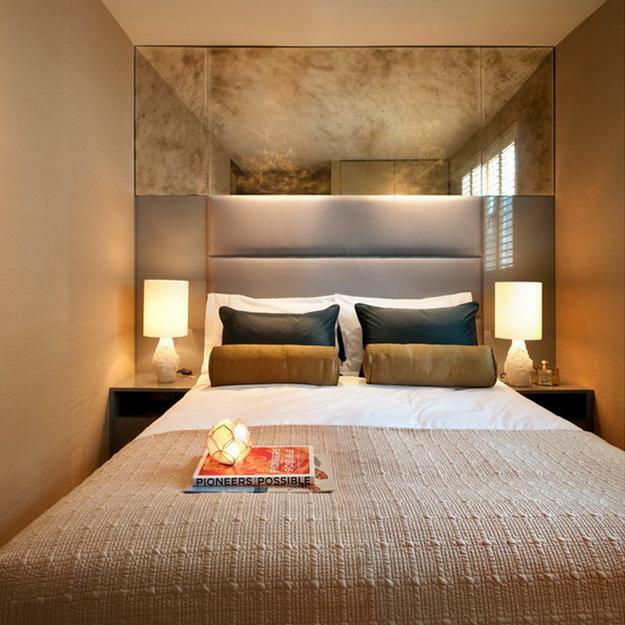 Lushome brings a collection of ideas for decorating with huge mirrors and creative mirror displays on walls to show how they complement, brighten up and visually stretch modern bedrooms to create a fabulous atmosphere in bright homes. 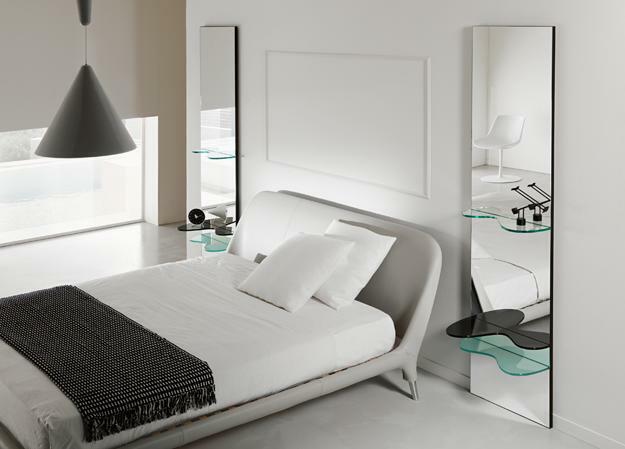 Mirrors are perfect for spreading natural light in your bedroom, transforming lacking interest, dark corners or redirecting sunlight. 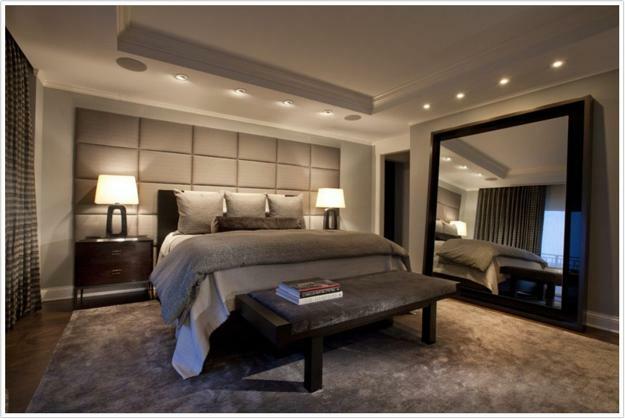 At night mirrors complement bedroom lighting and create beautiful illumination in the rooms. 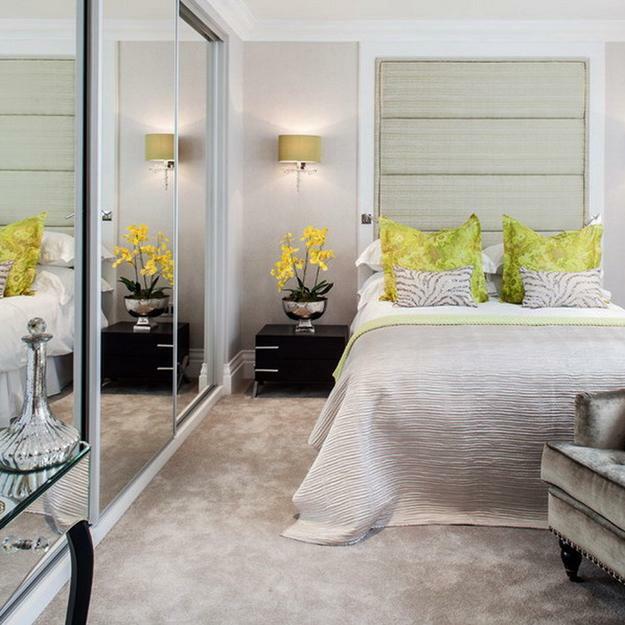 Two large mirrors, displays with grouped mirrors, mirrored tiles, doors and wall design are just a few ideas for modern bedroom decorating and adding glamorous mirrors to your room designs. 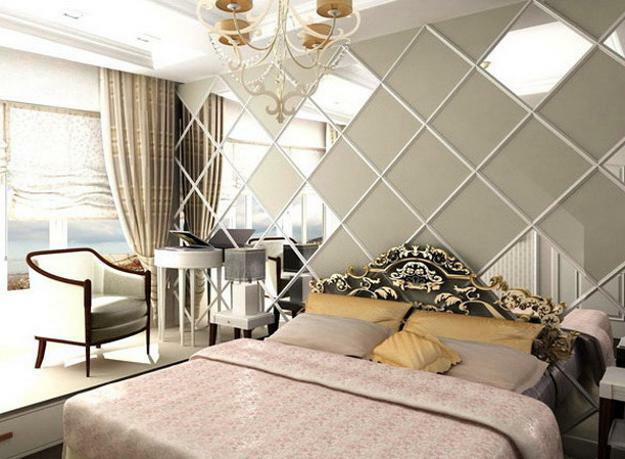 Wall to wall mirrors, floor to ceiling wall design, massive mirrors or creative arrangements of small mirrors in various shapes brighten up and personalize modern bedroom designs and create inviting and beautiful home interiors. 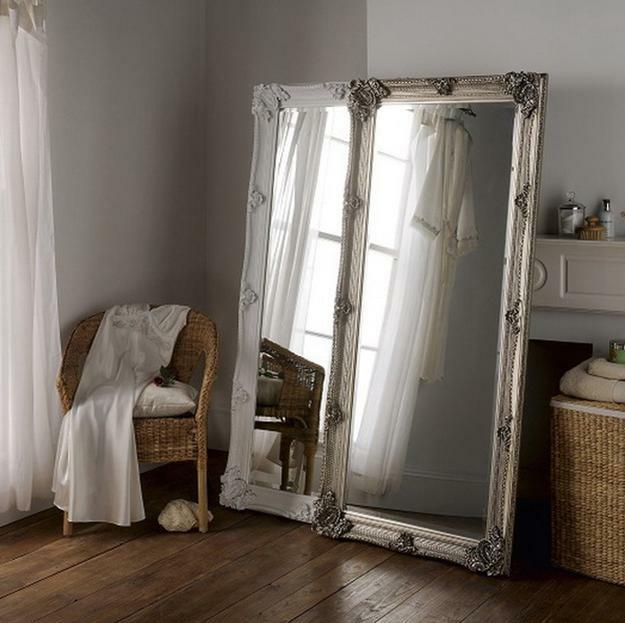 Perfect for any ultra-modern bedroom designs, luxurious and attractive mirrors add charming elegance and light to interior design and decorating. Big mirrored surfaces require regular cleaning to remain attractive and sparkling, but the airy and glamorous look they create is worth it. 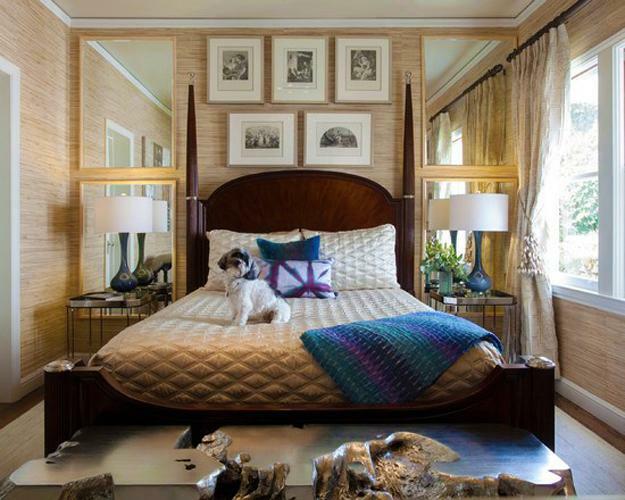 Perfect for creating fantastic centerpieces in your bedrooms, accent walls with mirrors not just brighten up the spaces but provide fabulous backgrounds for the beds and beautifully accentuate bed headboard ideas. 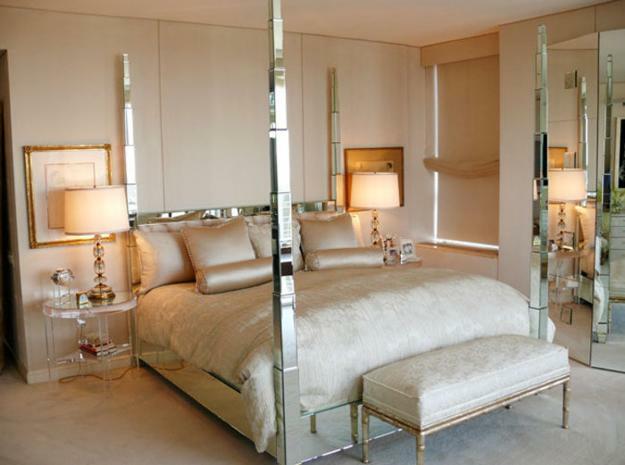 Modern bedroom designs with large mirrored elements feel romantic and Bohemian. 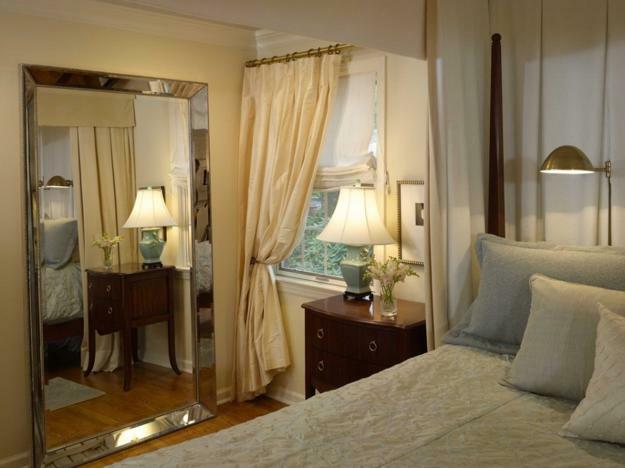 The positioning of a mirror depends on the positioning of your window, low or high ceiling. 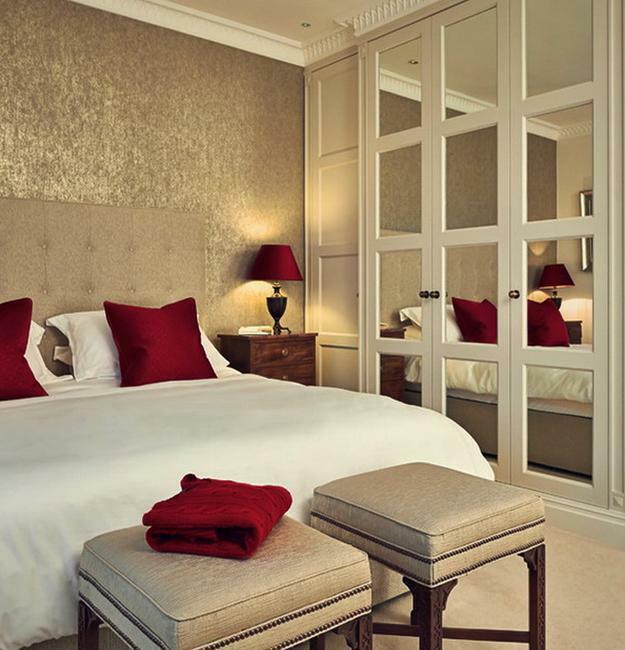 If you place a wall mirror at the head of your bed or use two wall mirrors on either side of the bed, it creates a striking focal point for your bedroom design and decorating. 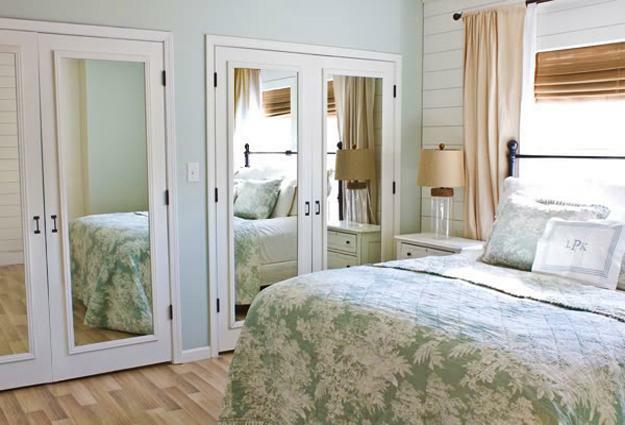 Two or three wall mirrors double and triple bedroom designs while subtly adding more light to the rooms. 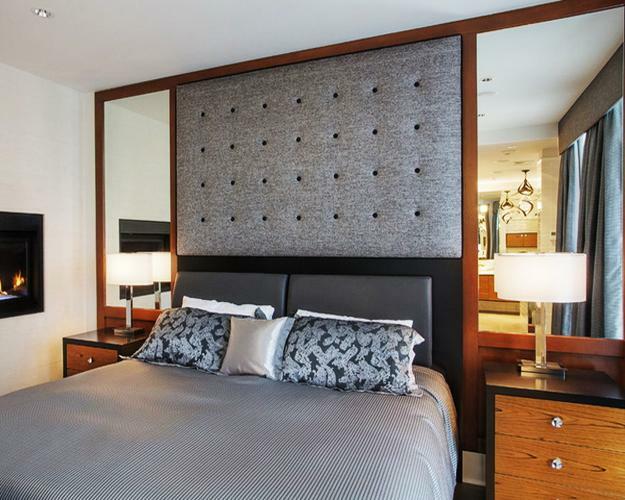 Also, an accent wall design with multiple mirrors works well in traditional and modern bedrooms creating stunning interiors. 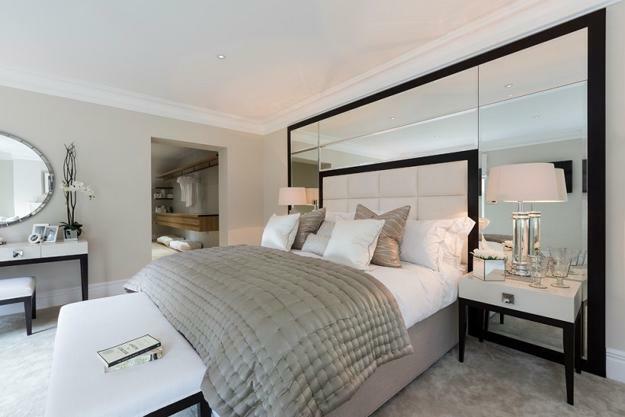 Bedroom interiors become visually more attractive and appear spacious with the use of a large mirror or mirrored walls, tiles and bedroom furniture. 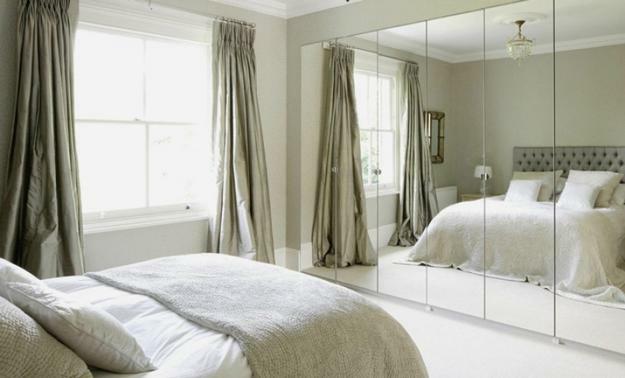 If a full length mirrored door reflects a beautiful view from a window, or you can see a lovely piece of bedroom furniture, artwork or a charming accent wall in the mirror, it creates an exceptionally stylish, spacious, attractive and modern bedroom design. This intelligent home staging technique works in all rooms but offers a timelessly elegant and brilliant idea for small bedroom decorating. 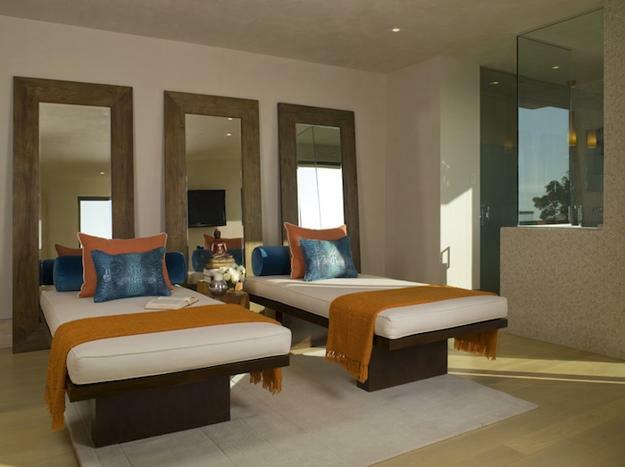 Perfect for modern bedroom designs, the full-length mirrors, mirrored furniture, doors or accent walls not only provide a surprising source of light but add beautiful reflections that emphasize unique, pleasant and modern bedroom designs.